In 1914 famed polar explorer Ernest Shackleton was planning to become the first person to cross the Antarctic continent. The fate of Shackleton and his party is well known – it’s a tale of endurance over land and sea to reach safety against the odds. But there’s a side of this story that’s not so well known, but no less exciting: that of Shackleton’s ‘Ross Sea party’. 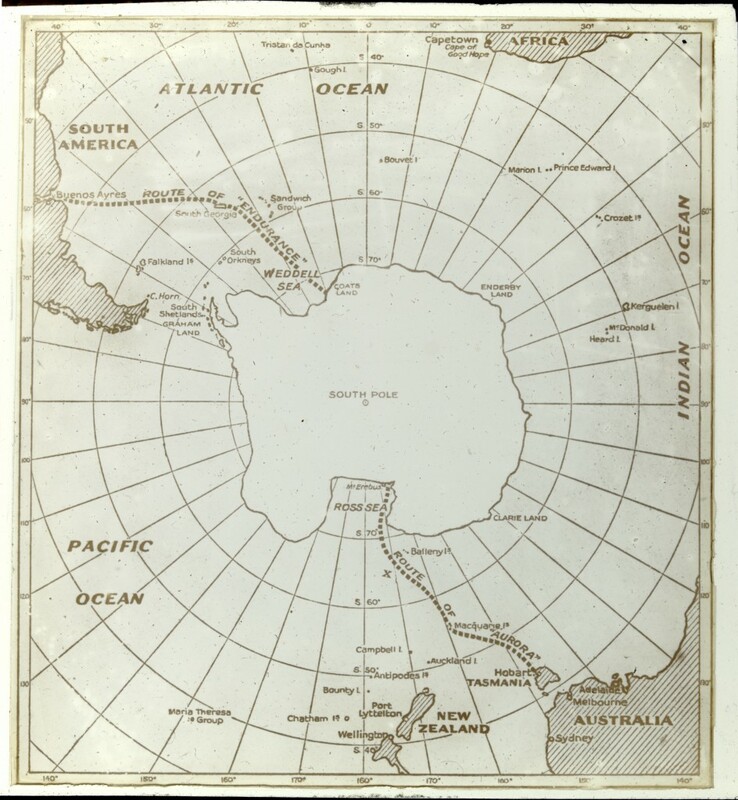 To prepare for the crossing, Shackleton sent a party to the Ross Sea, located on the opposite side of Antarctica from Shackleton’s intended starting point. 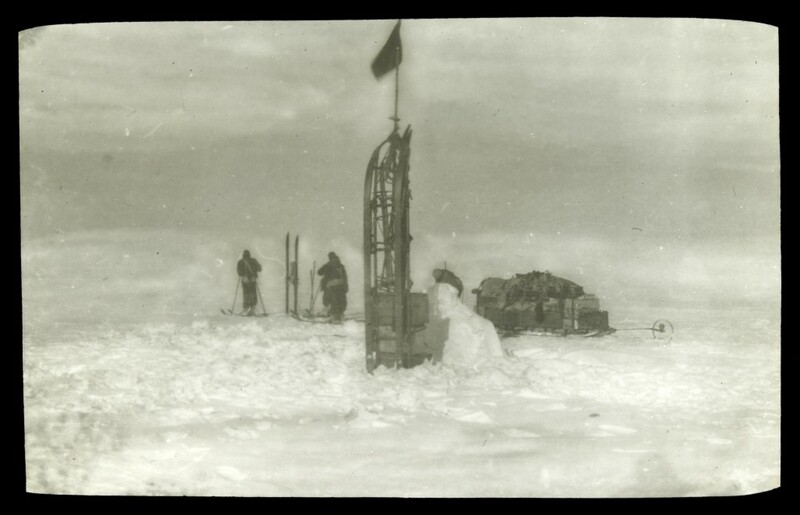 The Ross Sea party was tasked with sledging south across the ice to leave ‘store depots’ along Shackleton’s route. These deposits would feed Shackleton’s expedition during the second half of his crossing. But in January 1915, before the expedition to cross Antarctica had even begun, Shackleton’s ship Endurance was trapped and later crushed by pack ice in the Weddell Sea. 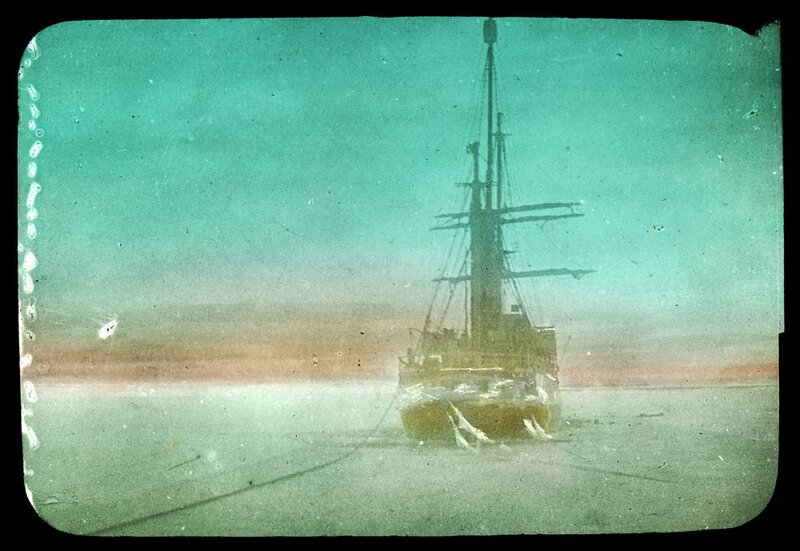 Shackleton and his men were forced to abandon ship and camp on the drifting Antarctic ice for months. When the ice finally broke up, the men clambered into three open whale boats, which they had retrieved from their wrecked ship. They travelled to the inhospitable Elephant Island, at the northern end of the Antarctic Peninsula. To find help, Shackleton and five others journeyed 1300 kilometres from Elephant Island across the wild Southern Ocean. Once they reached South Georgia, Shackleton, ship’s captain Frank Worsley and Tom Crean struggled across the mountainous island to the Norwegian whaling station at Stromness. Finally, in August 1916, Shackleton rescued the remaining men on Elephant Island. Meanwhile, the Ross Sea party began their work, unaware of Shackleton’s misadventures. The shore party consisted of ten men, including Australian Keith Jack, a physicist who undertook scientific research. They used a hut on Ross Island as a base, and their ship Aurora (where the crew lived) was secured about 40 metres off shore. In May 1915, during a ferocious storm, the party awoke to find their ship had disappeared, dragged away with the retreating ice. The party was totally isolated on the island as the Aurora remained locked in moving ice, helplessly carried northwards. They imagined the ship had been crushed and the crew lost. The party resolved to continue their work, as they believed Shackleton’s life depended on them. Over two summers the group undertook gruelling sledging trips 600 kilometres inland to lay store depots. One man died of scurvy, two others disappeared trying unwisely to cross thin sea ice. The remaining seven men were stranded, with no idea what had happened to their ship or Shackleton. Over this time, as some of the group fell into melancholy, Keith Jack carefully carried out the scientific program. 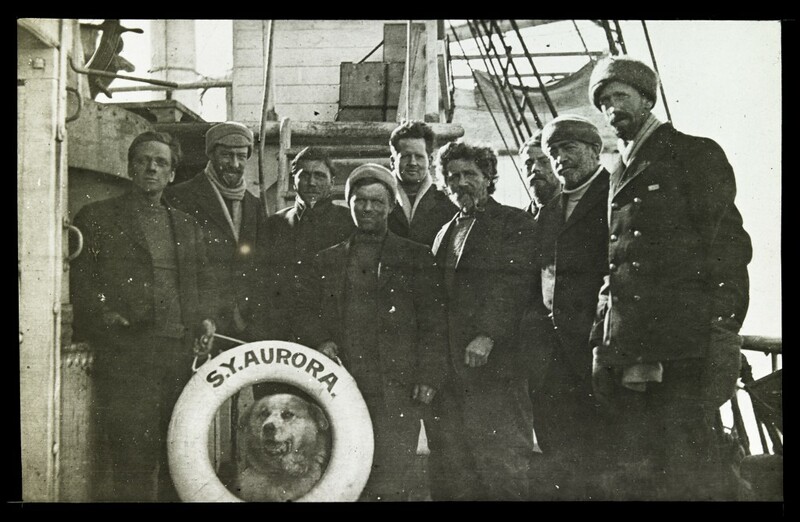 In January 1917, the demoralised Ross Sea party experienced what must have appeared to be a miracle – their ship Aurora sailing across the ocean towards them. Their vessel had broken free of the ice that carried it away, and eventually struggled to New Zealand. With expedition funds exhausted, and in the midst of the Great War, the British, Australian and New Zealand governments reluctantly agreed to fund a relief mission. Aurora, under Captain John King Davis and with Shackleton aboard, had returned to rescue the survivors. Surviving members of the shore party. Shackleton and John King Davis far right. Keith Jack first left. Keith Jack died in Melbourne on 26 September 1966, aged 81. His diaries, photographs, sketches and equipment provide a unique perspective on a little known aspect of a very famous expedition. The Australia National Maritime Museum in Sydney is currently hosting the exhibition Shackleton: Escape from Antarctica, which focuses on Ernest Shackleton’s Imperial Trans-Antarctic Expedition of 1914–17. Some wonderful items from State Library Victoria’s Australian Manuscripts Collection appear in the exhibition, including clothing, equipment, illustrations and diaries from the expedition. 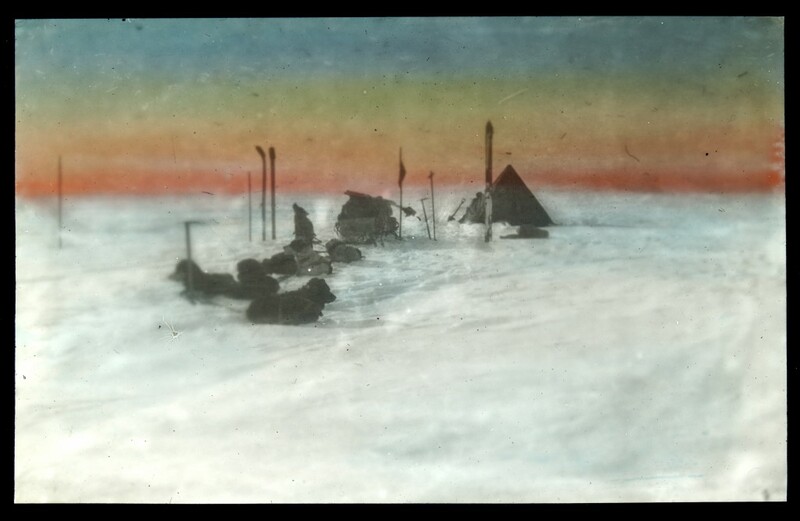 The items were donated to the Library by expedition member Andrew Keith Jack, and Jack’s beautiful photos from the expedition have all been digitised and can be viewed through our Library catalogue. For more information, this La Trobe Journal article and this video about glass lantern slides shed more light on Keith Jack.